We provide Professional Lawn Care, Landscaping, Fertilization, and Snow Removal to Champaign IL & Surrounding Areas. There a lot of options for lawn care companies. Here at Merrill, we like to focus on what makes us different then other companies that offer similar services. When you have a comment, questions, or concern- Merrill is available to help! Merrill operates with a full office staff Monday through Friday 7am-5:30pm. Each time you call, you will be met with a friendly, helpful, and knowledgeable team member. Merrill Services strives to provide the highest quality work which means we make sure that our team is one of the best in the area. We do thorough background checks on all of our employees. Our crew members will always show up in uniform and shut the gate upon completion of service. We put each of our team members through extensive training to further their knowledge and individual skillset. Our crews are trained to acknowledge the total health of your lawn, not just push a mower. They make note of dry, brown, and short grass to ensure that they are not damaging your lawn. When they notice damage to a lawn, whether it be a fungus that needs cured or multiple weeds that need removed, they make the necessary documentation to provide estimates for a proper care plan. We’re the total lawn care package. Merrill not only offers a mowing service, but services to meet and exceed your total lawn care needs. We offer multiple recurring services such as monthly landscape maintenance, fertilization, weekly professional lawn care, aeration and overseeding, and snow removal. Merrill offers lawn treatment services like fungicide applications to cure your lawn of nasty fungi and insecticide treatments to remove the lawn killing pests. Installation of landscape such as plants, patios, retaining walls, trees, and landscape beds. Our Lawn Care Manager does daily audits to follow up and ensure that every client is getting the high-quality service that puts Merrill above the rest. Merrill Landscape Services is fully insured. 4 Million policy. We offer quick and easy payment options. With Merrill you have the ability to conveniently pay online, via phone, or by mailing your payment, or by stopping by office. We accept multiple payment methods. You can pay via credit/debit card, Check or set up autopay. By setting up Autopay you can save time, and put your mind at ease knowing that you don’t have to take the extra time every month to make the payment. Merrill participates in Clean Advantage Program. As a landscape company, we feel the need to not only protect the community we work within, but also the world in which we live. By participating in this program, we are doing our part to make the environment healthy for our future generations by calculating our work fleet’s CO2emissions and reducing them by up to 50%. We are proud to provide habitats for wildlife, clean landfills, and develop local parks and recreational space for people to enjoy. 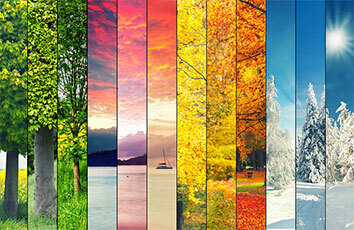 Building a better future, one breath at a time – Merrill Landscape Services. We service many different properties in the Champaign-Urbana area, including businesses! From corporations and franchises to local businesses, we like to make sure that the lawn and landscape is always up to snuff for your customers. We love being able to keep Champaign-Urbana and the surrounding city looking great! That’s why we go above and beyond servicing our residential clients, making sure that the lawn and landscape looks amazing all year round! Along with residential and commercial properties, we also service utility companies around the Champaign-Urbana area. 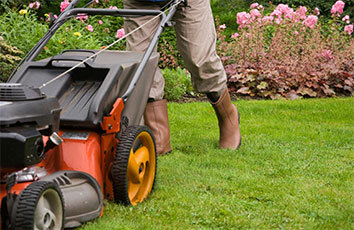 Call us today for the best lawn and landscape services at exceptional rates. We believe the words of our happy customers are the measure of our success. Read what they have to say and decide for yourself. 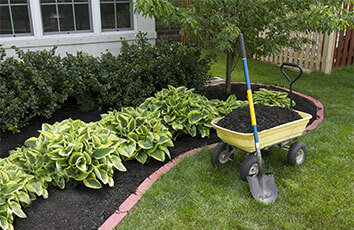 Then give us a call and experience true professional landscaping services. They did a great job! Lawn looks great and they even took away excess tree branches. Also very reasonably priced, especially if you have a big residential job where you might have to rent equipment. Just pay a bit more and call these people. Great service! I've been using this company for awhile now. Unlike a lot of companies I've contacted, they always answer the phone! Plus they make my lawn look great! After the work was done they contacted us for follow-up on how our landscaping was doing and how satisfied we were. Our new landscaping looks better than it ever has all thanks to the friendly and helpful staff at Merrill Landscape Services. Merrill Landscape Services Shares News, Valuable Information, and Tips & Tricks on Lawn Care, Landscaping, and Seasonal Care.